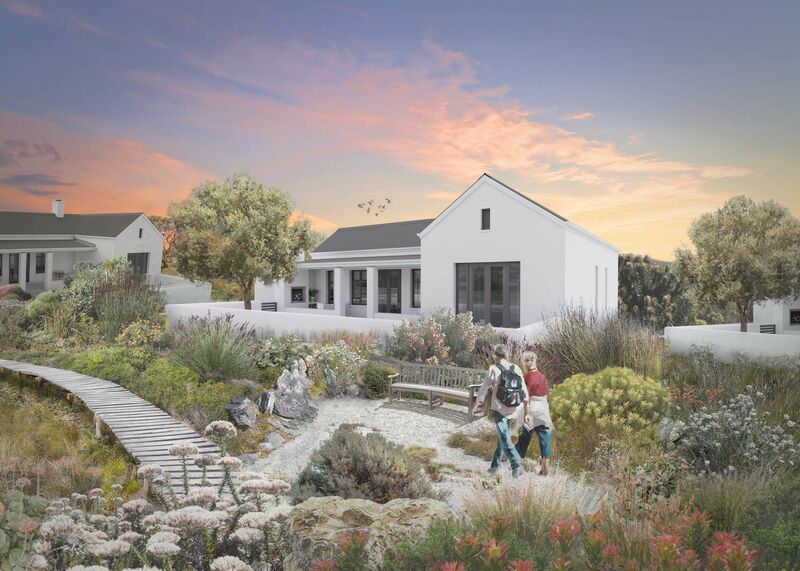 Langebaan retirement village is not your typical village. It’s a place where lifestyle meets stylish, secure and affordable living, within a vibrant community. It encompasses fully-fledged residential, recreational and healthcare facilities that enable you to enjoy the best years of your life. 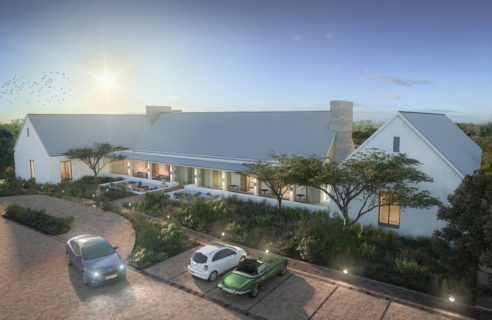 The 323-home Langebaan retirement village is ideally situated on the bountiful and magnificent Langebaan Country Estate, where you can enjoy a safe and carefree environment, surrounded by nature, and spoilt for choice. Residents have access to everything the Estate has to offer, including the manicured grounds and top class 24/7 security. In addition to the Black Knight Design golf course, created by Gary Player Designs, the estate also has a mashie course, pro putt course, driving range, pro shop and clubhouse. The Horizon Restaurant provides a sociable environment in which to enjoy the stunning views, either from the cocktail bar or clubhouse balconies. You can also work out in the gym, spend time on the tennis courts, bowling green or in the sparkling swimming pool… the perfect thing after meandering the Estate’s running or bicycle trails with the family. Welcome to West Coast living at its very best – we invite you to become a part of it at Langebaan retirement village. string(36) "The Village Langebaan Country Estate"
string(1296) "Langebaan retirement village is not your typical village. It's a place where lifestyle meets stylish, secure and affordable living, within a vibrant community. It encompasses fully-fledged residential, recreational and healthcare facilities that enable you to enjoy the best years of your life. 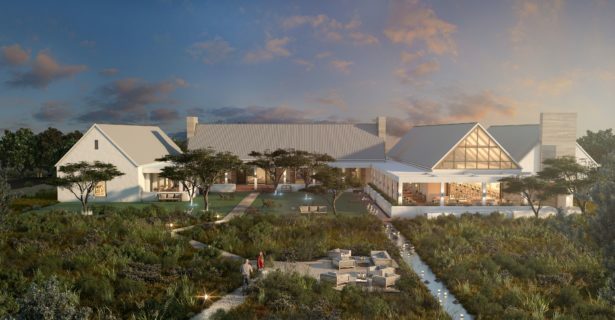 The 323-home Langebaan retirement village is ideally situated on the bountiful and magnificent Langebaan Country Estate, where you can enjoy a safe and carefree environment, surrounded by nature, and spoilt for choice. Residents have access to everything the Estate has to offer, including the manicured grounds and top class 24/7 security. In addition to the Black Knight Design golf course, created by Gary Player Designs, the estate also has a mashie course, pro putt course, driving range, pro shop and clubhouse. The Horizon Restaurant provides a sociable environment in which to enjoy the stunning views, either from the cocktail bar or clubhouse balconies. You can also work out in the gym, spend time on the tennis courts, bowling green or in the sparkling swimming pool... the perfect thing after meandering the Estate’s running or bicycle trails with the family. Welcome to West Coast living at its very best - we invite you to become a part of it at Langebaan retirement village." string(50) "Lodge 3, Clubhouse Drive, Langebaan Country Estate"
string(30) "WEST COAST SWARTLAND CEDERBERG"
string(21) "S 33 04 20 E 18 03 18"
string(125) "A luxurious clubhouse, a short stroll from your home, has a roomy interior and wrap-around stoep with ample leisure facilitie"
string(47) "The Clubhouse provides hairdressing facilities." string(50) "Your pets will love living here as much as you do!" string(26) "All homes include garages." string(124) "Complimentary shuttle bus is available at select times during the day for trips into town to visit the shops or have a meal." string(109) "The Clubhouse includes a coffee shop and deli, serviced by Feedem and the Estate offers a variety of options." string(120) "Electric perimeter fencing & ground radar, access control, CCTV, onsite security and intruder alarm system in each home." string(64) "All homes, clubhouse and care facilities accommodate wheelchairs"
string(29) "Available via the Care Centre"
string(101) "Indoor pool available in future phase of the Estate. Outdoor pools currently accessible to residents." 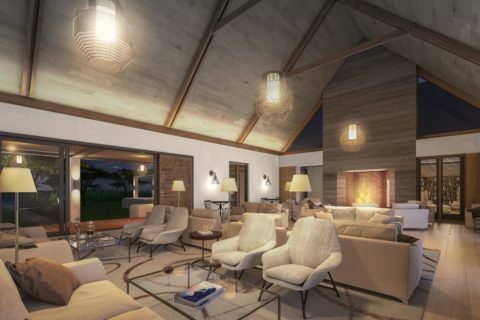 string(21) "Located on the Estate"
string(49) "A cosy library will be available in the clubhouse"
string(1336) "Langebaan retirement village is not your typical village. It's a place where lifestyle meets stylish, secure and affordable living, within a vibrant community. It encompasses fully-fledged residential, recreational and healthcare facilities that enable you to enjoy the best years of your life. The 323-home Langebaan retirement village is ideally situated on the bountiful and magnificent Langebaan Country Estate, where you can enjoy a safe and carefree environment, surrounded by nature, and spoilt for choice. Residents have access to everything the Estate has to offer, including the manicured grounds and top class 24/7 security. In addition to the Black Knight Design golf course, created by Gary Player Designs, the estate also has a mashie course, pro putt course, driving range, pro shop and clubhouse. The Horizon Restaurant provides a sociable environment in which to enjoy the stunning views, either from the cocktail bar or clubhouse balconies. You can also work out in the gym, spend time on the tennis courts, bowling green or in the sparkling swimming pool... the perfect thing after meandering the Estate’s running or bicycle trails with the family. Welcome to West Coast living at its very best - we invite you to become a part of it at Langebaan retirement village." 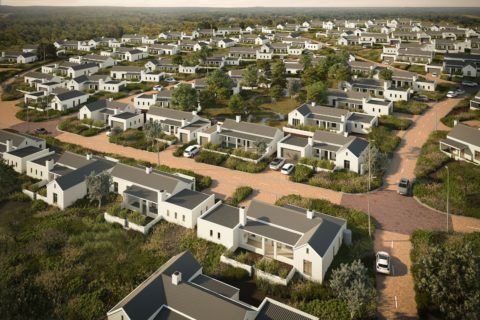 string(130) "Langebaan retirement village is not your typical village. 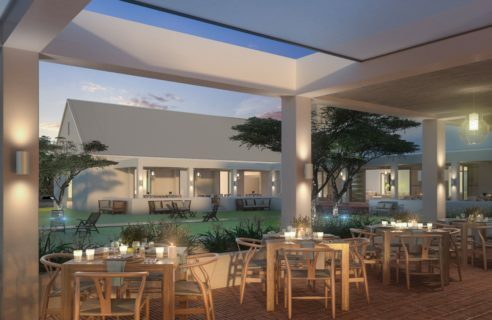 It's a place where lifestyle meets stylish, secure and affordable living"
The Clubhouse provides hairdressing facilities. Your pets will love living here as much as you do! Complimentary shuttle bus is available at select times during the day for trips into town to visit the shops or have a meal. The Clubhouse includes a coffee shop and deli, serviced by Feedem and the Estate offers a variety of options. Electric perimeter fencing & ground radar, access control, CCTV, onsite security and intruder alarm system in each home. Indoor pool available in future phase of the Estate. Outdoor pools currently accessible to residents.